Chelsea were beaten comfortably by Liverpool in the end yesterday, but the game was more damaging than just the slipup in the top four race it represented. It was a damaging blow to our confidence which had been gradually growing after a few good results against bad teams. 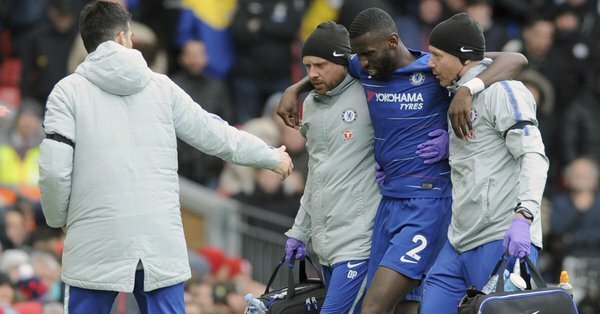 Perhaps even more significantly was the way that Antonio Rudiger was forced off, after going down hurt, playing on injured and then eventually giving up again and allowing himself to be replaced by Andreas Christensen. So there is some hope he will be back then. If not, we find ourselves in deep trouble. It’s good news for the Dane and his demands for game-time, but it’s not so good for the team as we look to continue competing on two fronts.